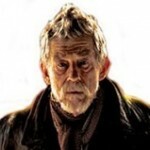 Autumn is in the air, leaves are tumbling down from the trees and it’s getting colder every day. 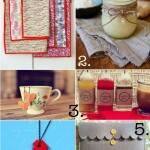 Truly, the time is right to sit down, get your craft stuff out and get to making. If you need inspiration for your makes, then look no further than the scariest day of the year (which is only a month away) – Halloween. Halloween provides you with an endless number of creepy, horrifying and cool craft ideas – and because we love you, we’ve made you a little inspiration list to get you started. 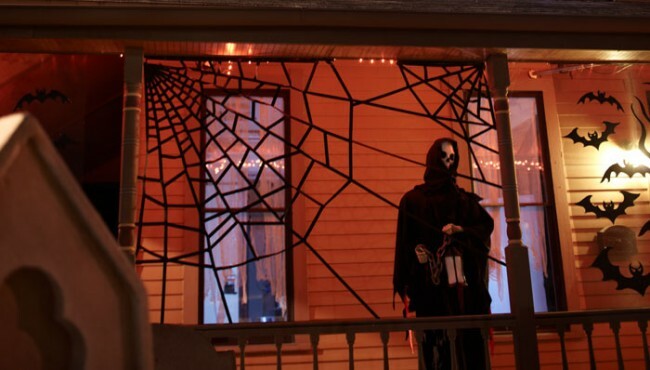 American home improvement store Lowe’s has a couple of Halloween craft ideas on their website, including this Halloween spider web (above) – which just requires staples and black friction tape. If you want to give your front porch (or anywhere around the house, really) an instantly spooky vibe, that’s the way to go. Halloween wouldn’t be Halloween without pumpkins, of course. 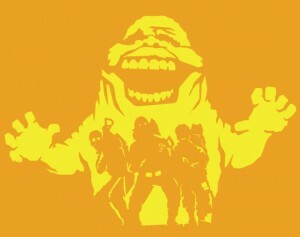 PinkRayGun’s got an entire tag dedicated to geeky Halloween pumpkin carving templates. Want to carve out the SHIELD logo, a Silence from Doctor Who or Slimer from Ghostbusters? 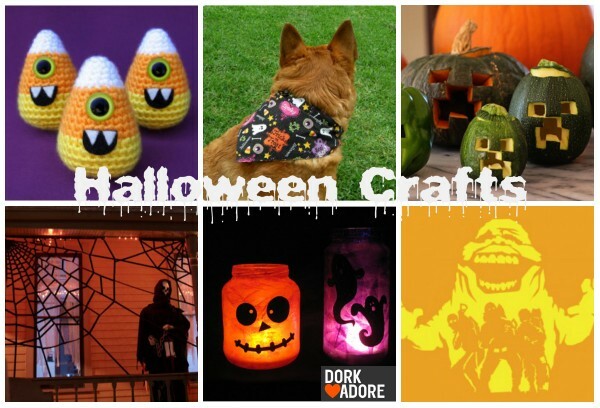 Crochet designer Julie runs a blog called Gleeful Things, and she’s got quite a few free Halloween DIY projects on there. 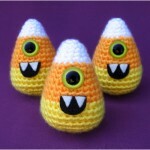 Have a go at this beginner amigurumi pattern, which will make you a cyclops candy corn (Candy-Clops). 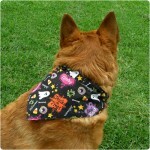 If you want your pets to get in on the Halloween action, these reversible dog bandanas – which you can adapt for any occasion- are awesome. 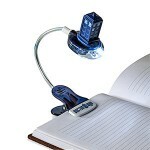 They slip over the dog collar, so you don’t have to worry about them falling off. 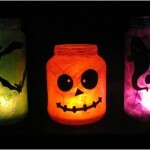 Julie also has a tutorial for these cool Halloween jar luminaries, which you can make lots of and dot them around the house to turn the fright factor up to eleven. 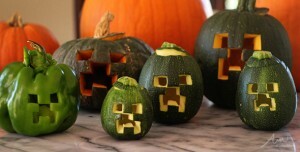 And finally, Brenda Ponnay from the Alpha Mom blog plays right into one of the biggest trends of the moment and serves up these Minecraft Creeper Jack O’Lanterns. The twist is that she’s made them with not just green pumpkins, but all kinds of green vegetables. Alpha Mom’s got a pretty good Halloween crafts tag as well, which is full of costume ideas for your kids. Handy if your small ones are crying out for a Frozen-themed Halloween costume and you have no clue how to get started. 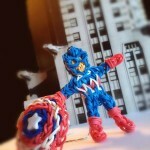 Also, check out my Halloween amigurumi post from last year, or read through our entire Halloween tag for more Halloween ideas!